Scholarships open new doors – complete yours today! The ICC Scholarship Application for the 2017 – 18 school year is due Saturday, April 1! In 2014, Michael felt stuck in a job without potential for growth. Michael wanted to pursue other options, but paying for college on top of his personal expenses seemed out of reach. 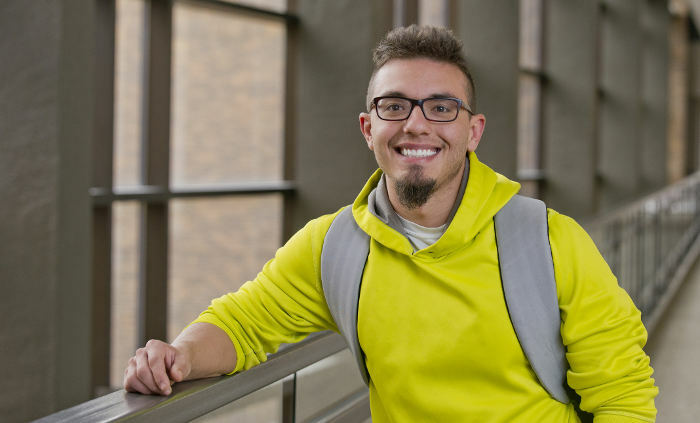 Things changed when Michael filed his ICC Scholarship Application and became eligible for hundreds of ICC Scholarships and thousands of dollars in assistance available to students. Michael was awarded the Mabel Dingeldine Scholarship, giving him the opportunity to attend ICC and complete his education! Receiving this scholarship means the world to me because I can continue my education and pursue a career I am passionate about. Michael is currently studying Criminal Justice and Finance at Illinois Central College through a scholarship provided by our generous donors. Upon graduation from ICC, Michael will have the ability to pursue a career in law enforcement or continue towards a bachelor’s in business or criminal justice. Scholarships at Illinois Central College unleash new possibilities for our students. Find out how far you can go with ICC by completing your ICC Scholarship Application online today! The 2017-18 Scholarship Application closes at 11:59pm on Saturday, April 1!